Help Us Reach Our Annual Fund Goals! Gaynor’s Annual Fund helps support the day-to-day activities and operating expenses of the school, the largest of which includes the compensation and benefits of our stellar faculty. We rely on generous support from Gaynor parents, alumni, past parents, grandparents, foundations, and community members in order to operate our unique and transformative school. Contributions to the Annual Fund ensure that the school has the resources it needs to carry out our mission. 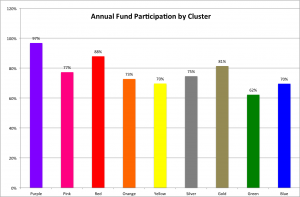 Last year we were proud to have 90% of the parent body participate in the Annual Fund. Currently, we are at 69% parent participation. Please help us reach our goals of 100% parent participation and $1M raised for the Annual Fund this year by making your gift before June 30. Participation from every family makes our community that much stronger. Every gift, of every size, has a real impact. If you are not sure if you have made a gift that counts for the 2017-2018 Annual Fund yet this year, please contact Emily Barnes at [email protected] or 212-787-7070 ext. 1126.